Sound View currently offers multiple speaker types. When it comes to escalator modernization our high quality speakers provide the clearest messages possible. If you are interested in walkway or escalator modernization please check our pages on escalator and walkway announcement systems and speakers. We can bring out the full potential of your walkways and escalators. 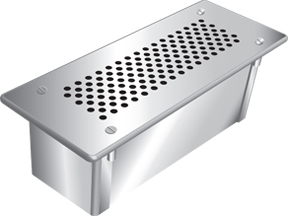 Our standard metal speaker enclosures are made of stainless steel and we even offer an option for brass. We also provide an elegant speaker that attaches to glass panels and provides high quality sound. Glass – These speakers are designed especially for glass escalators and moving walkways. They are mounted onto the outside of the glass panels and offer exceptional audio quality. Glass with lights– These speakers are especially designed for glass escalators and walkways. They mount to the glass panels on the sides of the moving walkway or escalator and offer exceptional audio quality. Optional “highlight” lighting is available and can display any one of 8 colors which can be changed whenever desired by remote control. This system offers a seamless sophisticated appearance. 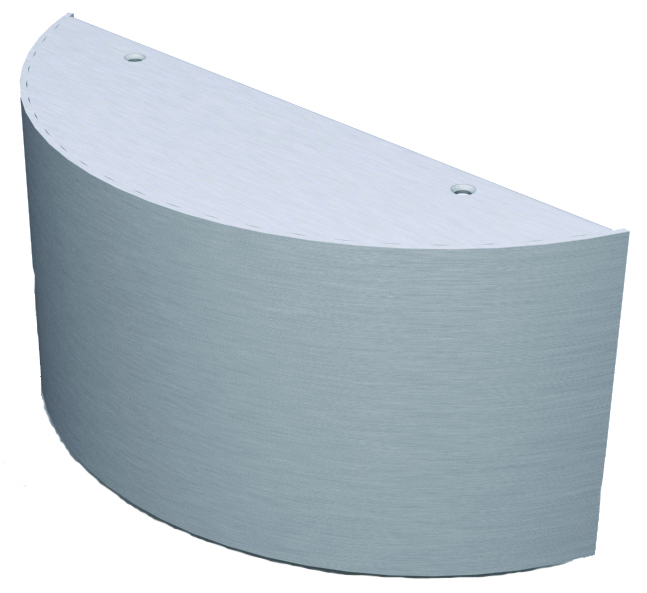 Low Profile – These speakers can be mounted on the top deck of a single escalator or between two escalators or walkways. They are the newest in our line of speakers and are only 1.3 inches high. These speakers are about the same height as existing luggage inhibitors. 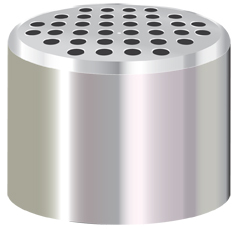 The enclosures for these speakers are made of stainless steel and are tamper and water resistant. Anti-slide knob speakers – These speakers are built into code compliant anti-slide knobs and provide high quality sound. They are dual purpose devices that keep riders informed and act as luggage inhibitors. 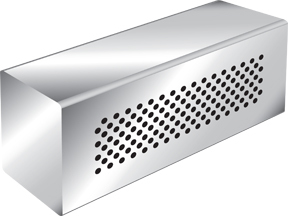 Flush Mount – The flush mount speakers are used on the deck or balustrade panel of an escalator or walkway. 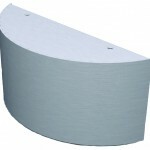 These provide a concealed look and are used when it is preferable not to have the speaker enclosures visible. 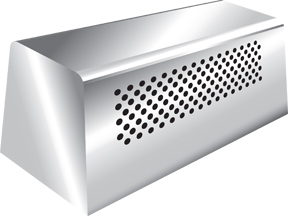 Flush Panel – The flush panel system has the speakers attached to the back of the balustrade panel behind perforated holes. This is a very sophisticated, high end option. 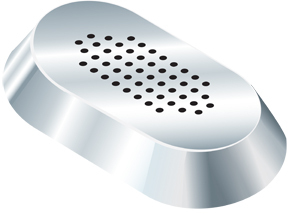 Side Mount – The side mount speakers are used on the top deck of a single escalator or walkway. The enclosures for these speakers are made of stainless steel and are tamper and water resistant. 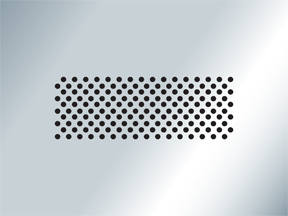 Center Mount – The center mount speakers are used on the top deck between two escalators (i.e. up and down escalators). The enclosures for these speakers are made of stainless steel and are tamper and water resistant. Ceiling Mounted – Our in ceiling speakers can be installed directly above the escalator or walkway when appropriate. 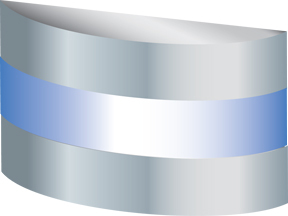 They offer an elegant discrete look while delivering the same high quality messages.